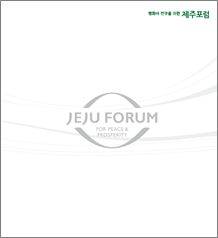 Jeju Forum for Peace and Prosperity started as a regional multilateral dialogue for promoting peace and common prosperity in 2001. 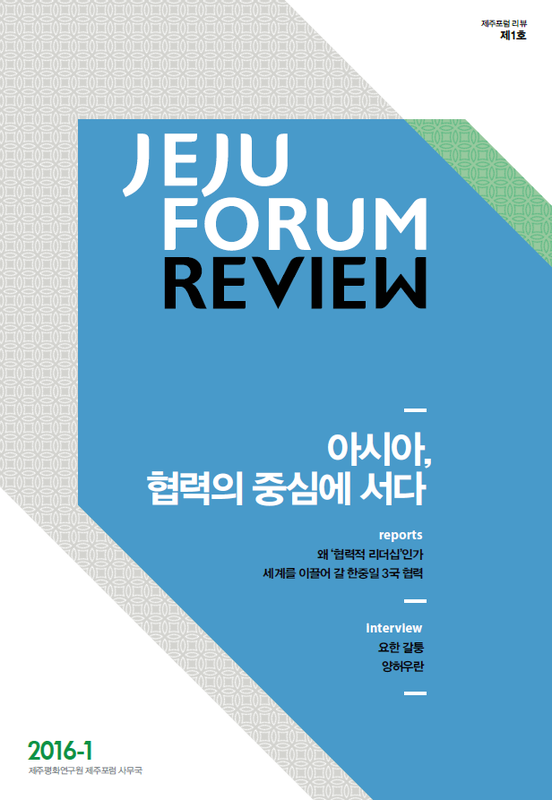 This is a collection of the Jeju Forum's history since 2001. It covers history, agendas, world leaders and their messag.. 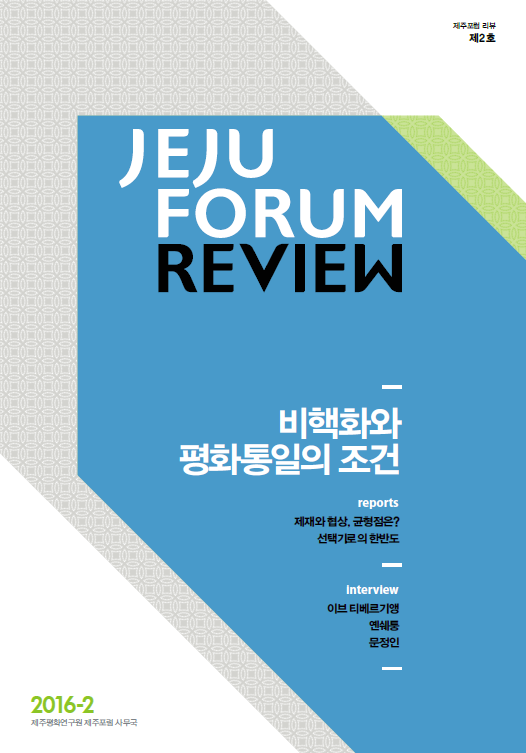 This is a brochure for Jeju Forum 2016. 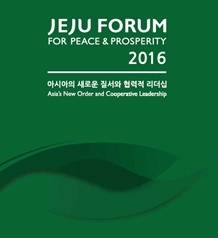 This annual event brochure contains various themes of the sessions and key participants to the Jeju Forum 2016. 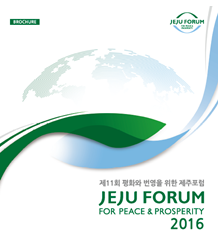 This is a program book for the Jeju Forum 2016. 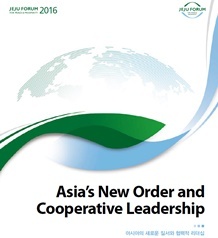 This book covers brief explanation on sessions and main participants to the forum in 2016. Around 40 partners joined this year's forum and created 69 sessions. To learn more, take a look at our program ..
2016년 5월 25일(수)~27일(금) 제주국제컨벤션센터에서 개최된 제12회 평화와 번영을 위한 제주포럼은 '아시아의 새로운 질서와 협력적 리더십'을 주제로 69개의 회의가 열렸습니다. 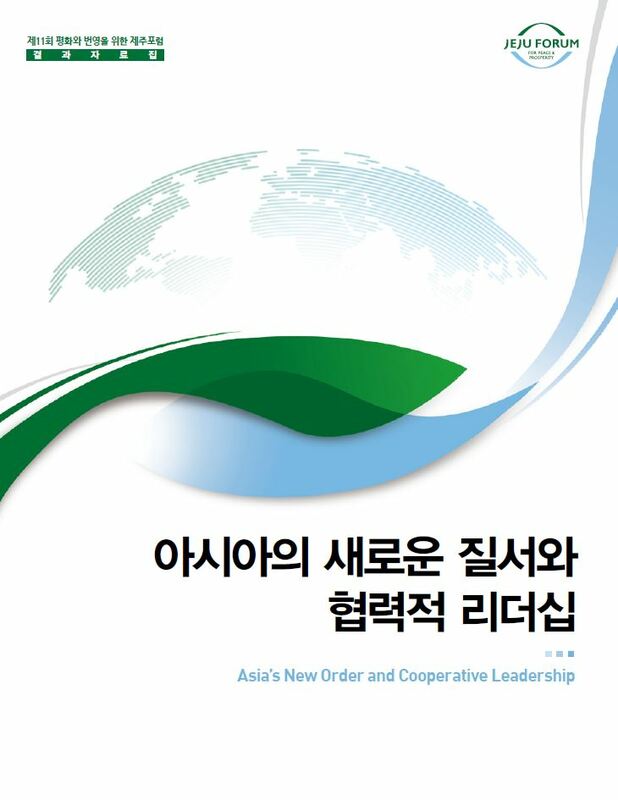 반기문 유..
At the Jeju Forum 2016, under the theme "Asia's New Order and Cooperative Leadership", more than 7,000 participants from all walks of life came together in Jeju. 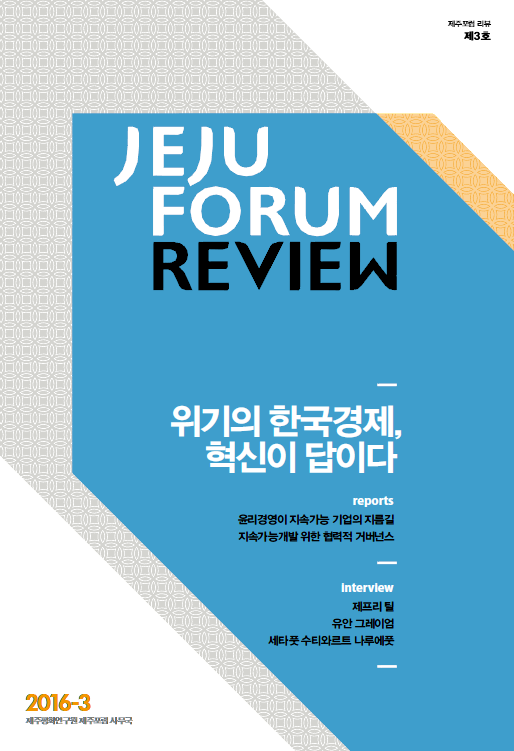 This session report book covers various issues discussed at the Jeju Forum. 2016년 5월 25일부터 27일까지 제주국제컨벤션센터에서 열린 제11회 평화와 번영을 위한 제주포럼은 ‘아시아의 새로운 질서와 협력적 리더십(Asia’s New Order and Cooperative Leadership)’이란 주제 ..
2017년은 새 유엔 사무총장 취임, 미국 등 주요국 리더십 교체, ASEAN 출범 50주년, 브렉시트, 지속가능개발목표(SDGs) 이행, 기후변화협정 Post 2020 등 범세계적 변화를 예고하고 있다. 제주포럼 ..
역사적으로 국제사회 주역은 군사·경제력 같은 하드파워뿐 아니라 가치와 질서를 선도하고 평화와 번영에 기여하는 소프트파워를 수반할 때 제 구실을 다했다. 이제 아시아가 협력적 리더..
21세기는 ‘아시아의 시대’라는 말이 있듯 아시아가 국제사회 주역으로 부상하고 있다. 시대가 요구하는 새로운 가치와 질서 창출에는 협력적 리더십이 뒷받침되어야 한다. 4호는 ‘지속..